Poster for PAX East 2011. 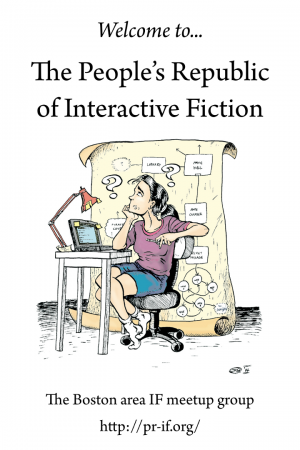 The People's Republic of Interactive Fiction (or PRIF) is the extremely informal name for the extremely informal IF fan community in Boston, Massachusetts. We meet monthly, usually at Nick Montfort's office. Newcomers welcome. This page was last modified on 9 July 2011, at 17:05.